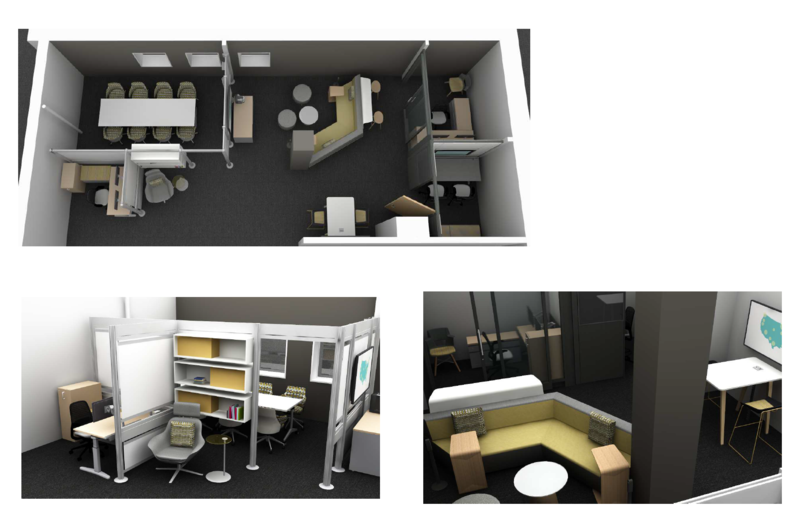 Thanks to the hard work of the 2017 Teaching and Learning Committee, a request for a teaching and learning space is coming to fruition. The new physical location of the Institute for Teaching Innovation will be located on the 2nd floor of the KAB, in the former School of Health Professions office and across from the former Registrar’s Office. 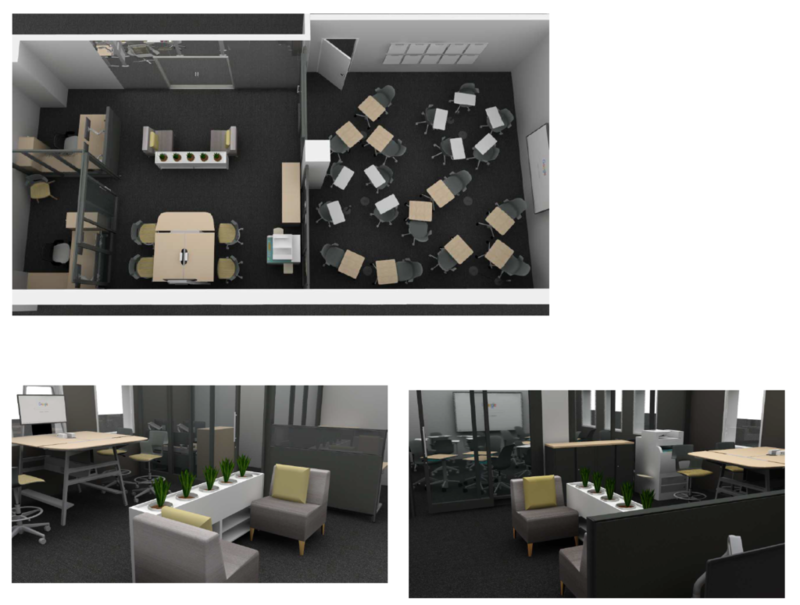 The Institute for Teaching Innovation will feature a recording studio, a small conference room, a group collaboration area, and a small meeting space – all with screens to project on. 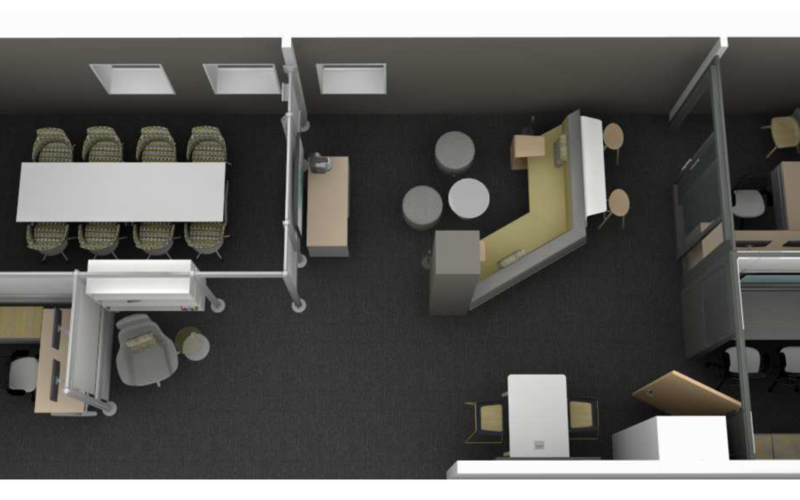 In addition, the Professional Development space across the hall will feature an innovative classroom space. Faculty will have swipe access to both of these spaces and will be able to reserve some components of them. They are hoping to have construction finished by January 10, 2019. Pop by and see the progress! 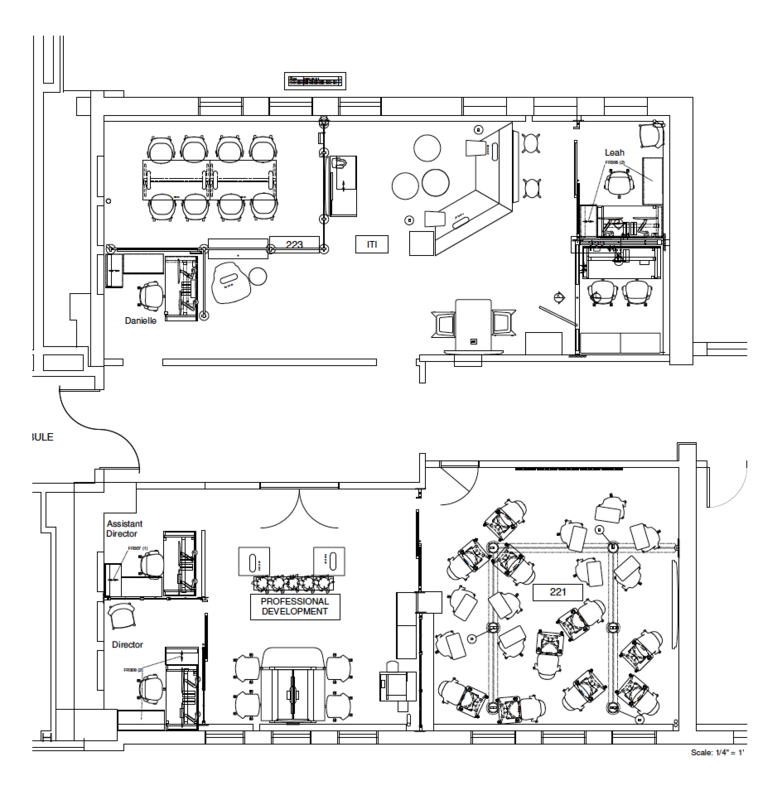 We are happy to share with you the renderings of these spaces below.